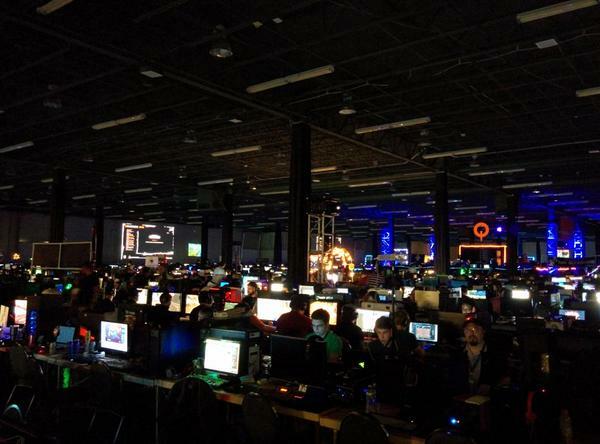 QuakeCon is a four-day, non-stop, bring your own computer, LAN party in Dallas, Texas. It is traditionally held in late July or early August and is run by id Software and Bethesda Studios. This July 23rd to July 26th over 11,000 people got together for the ongoing celebration of games and the people who play them. First created in 1996 by a group of friends on IRC, QaukeCon just turned 20. It continues to be run by a dedicated group of volunteers, including an executive team with more than 75 years of combined experience producing the event. 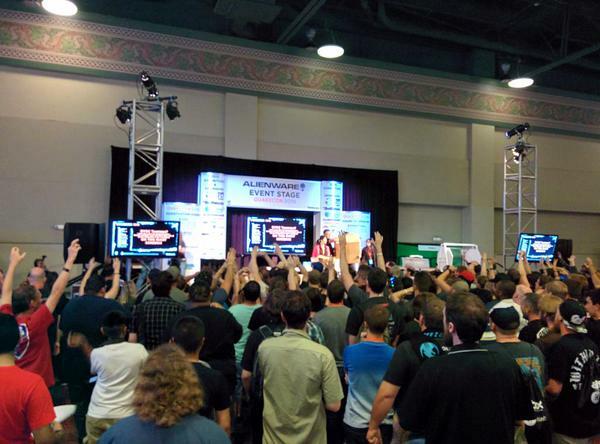 Due to the size of the event and the large number of attendees QuakeCon needed an efficient way to keep everyone up to date on all of the different events. To accomplish this they wanted to use digital signage to show Twitter feeds, live streams, photos, and important updates. Also, because the event is free to attend and run by volunteers the signage solution needed to be cost-effective. One of the events sponsors is Magic Box Solutions. They are a Houston, Texas based full service IT solutions company that provides on-site service and custom designed workstations and servers. 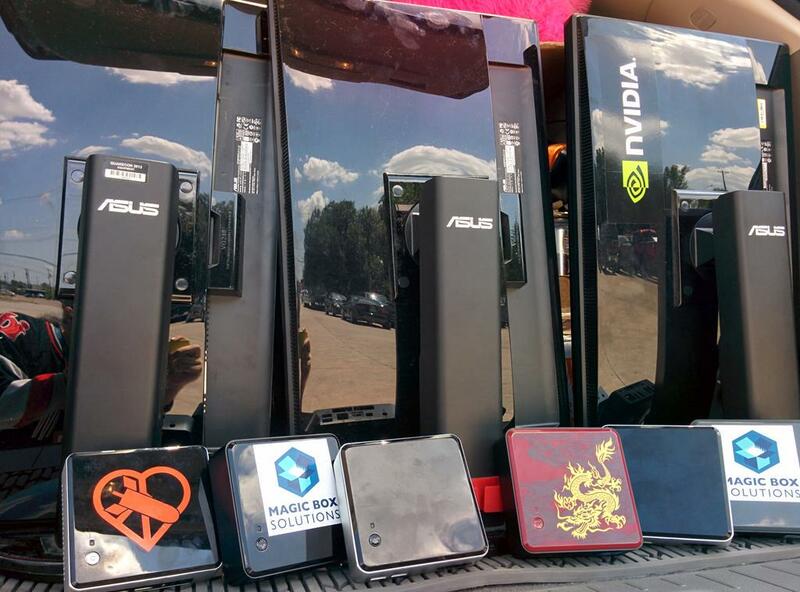 They provided all the hardware necessary to power the displays and helped manage the content at QuakeCon. QuakeCon wanted enough displays to cover the venue so that it was easy for an attendee to quickly see what events were going on, check out live streams, and some social feeds. To accomplish this Magic Box Solutions provided 5 Intel NUC media players ranging from Celeron to Core i5. 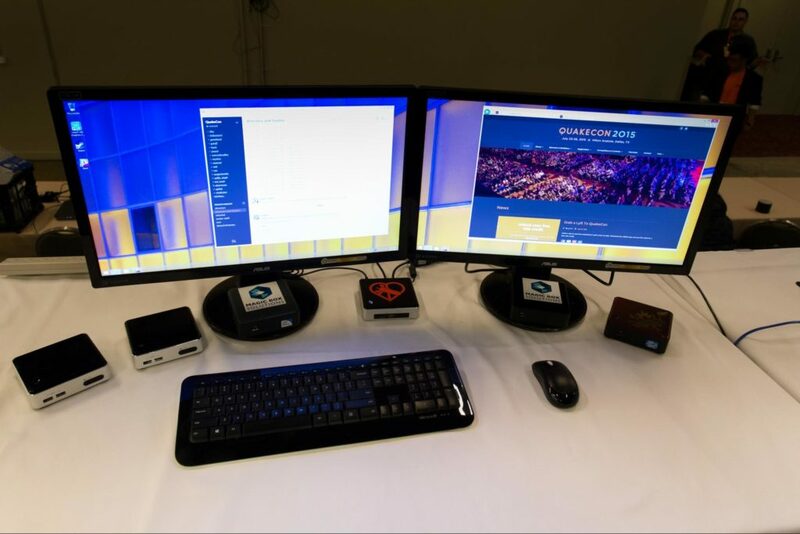 The Intel NUC media players were perfect for the event because they are capable of running for extended periods of time, and they can handle HD video. The NUC’s were hooked up to four 1080p projectors and one 80" 1080p screen, which was flanked by smaller 50" screens for the events stage. To create and manage the digital signage content Magic Box Solutions used Rise Vision. Our free widgets like the Twitter, and Calendar widget made it easy to quickly create the content necessary for the event. Using the schedules and displays apps they were able to schedule the content and check on the status of their displays while the event was running. Through a great partnership Magic Box Solutions and QuakeCon were able to use Rise Vision to keep costs down and the set up simple. 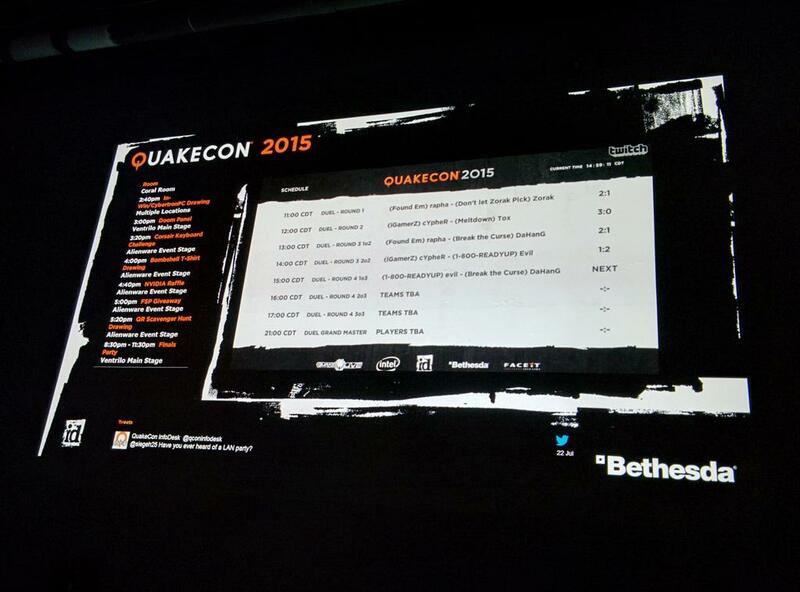 While keeping over 11,000 attendees informed and up to date on all the happenings at QuakeCon.